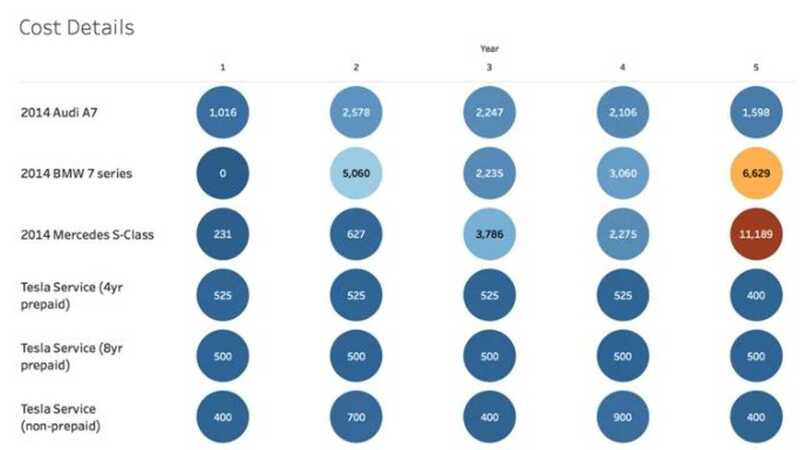 Ben Sullins (Data Geek) provides a wide variety of charts and graphics comparing the maintenance costs of a Tesla Model S (with and without the available four-year and eight-year service plans) to some German luxury cars. 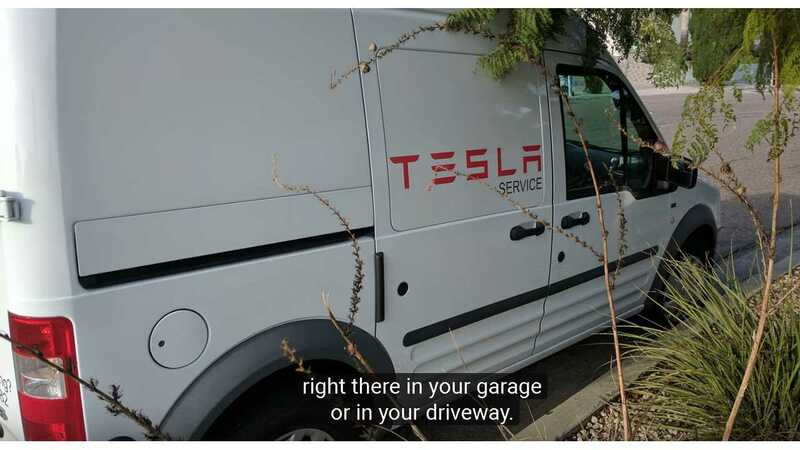 Tesla Rangers to the Rescue! provides a wide variety of charts and graphics comparing the of a Tesla Model S (with and without the available four-year and eight-year service plans) to some German luxury cars. One fact you will quickly notice - aside from Tesla winning in every comparison - is that the service plans save you very little extra cash. 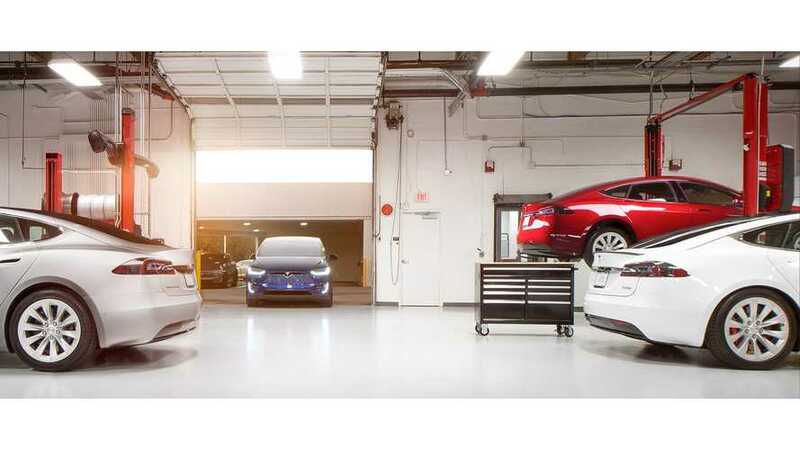 What are the maintenance costs of a Tesla Model S versus its competitors? In this video I break down the annual service costs and look at how much you'd save with a Tesla over a BMW 7 Series, Mercedes-Benz S-Class, and an Audi A7. The video dives deeper into longer term EV maintenance costs as compared to gas-powered vehicles, including warranty information and details on battery replacement. Overall, the video is very well executed. The visuals are clear and concise, and Ben gets through a ton of excellent info in a very short time. Check it out and let us know your thoughts and personal experiences. On a side note, this would be a perfect video to show would-be, could-be EV buyers that are skeptical or uneducated, simply because the explanations are easy to understand and he doesn't push or speak as if he has an agenda. Just the facts!